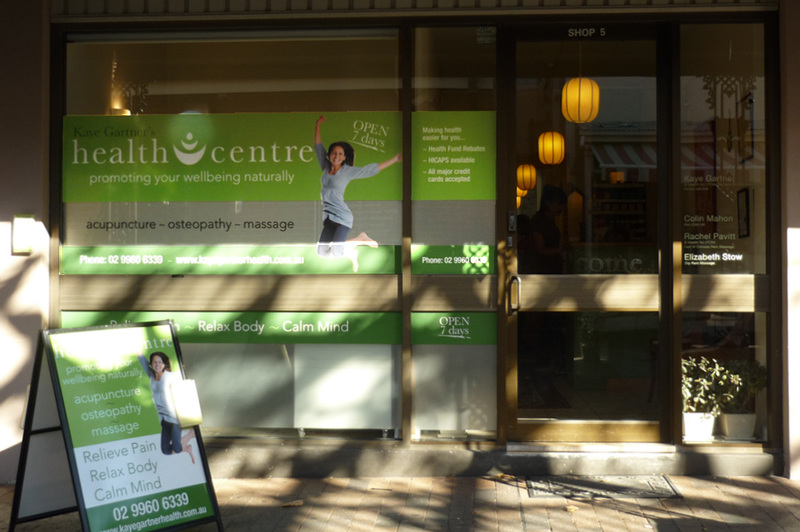 Kaye Gartner’s Health Centre in the middle of busy Mosman village on Sydney’s north shore had been operating in the same premises for six years and needed to revitalise their brand. 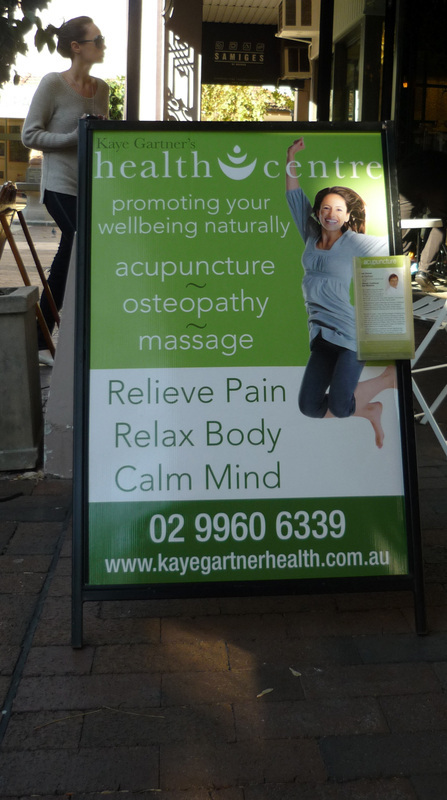 While Clinical Director and Acupuncturist Kaye Gartner is highly regarded with more than 17 years’ clinical practice and many long-term clients, she worried that their brand was not attracting new clients to the business. We sat down with Kaye and her team to discuss their target audience, their business mission and their unique take on natural health and wellbeing. 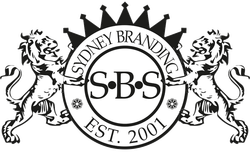 Then we modernised their branding, revising and reworking their existing logo, colours and fonts. 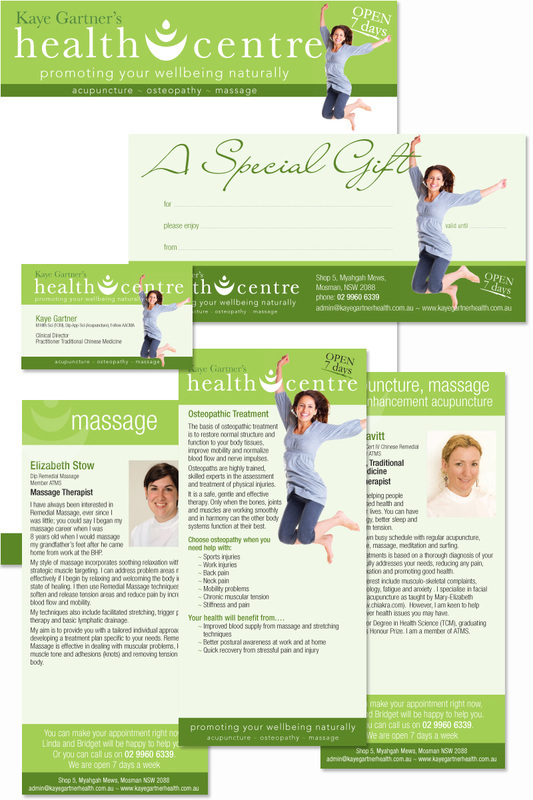 We also introduced a woman into their brand image to demonstrate the dynamism and vitality that clients can expect as a result of their treatments with the Health Centre. We also took care of their printing and signage, rolling out their new branding across the shop front window, sandwich board, business cards and brochures. With branding taken care of, we were able to extend the same image to a new, easy-to-use CMS website that incorporates their health blog. 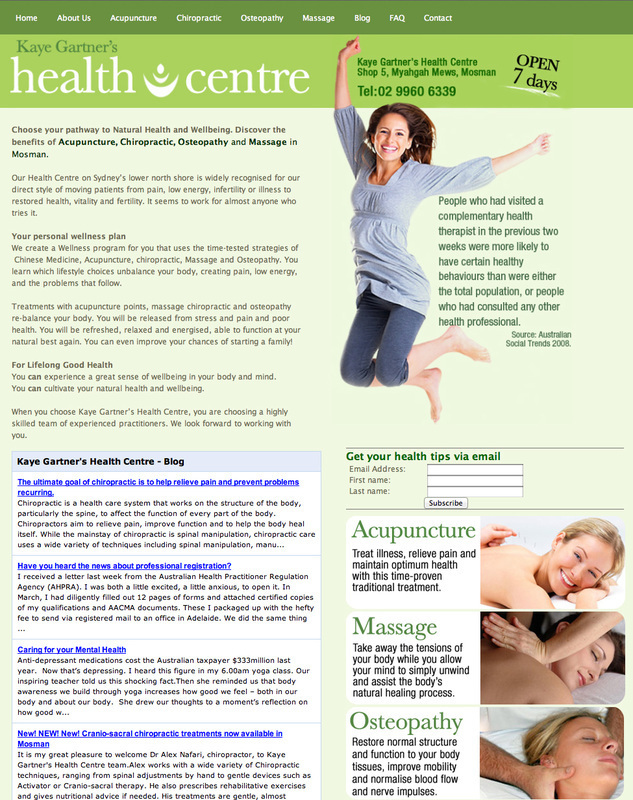 Kaye Gartner’s Health Centre can now automatically collect email addresses through the website to increase their email customer database through which they keep in touch with regular email newsletters. "My natural therapies business attracts a lot of attention because of the feeling of lively wellbeing our brand image projects. You listened and delivered exactly what I wanted, only better. "